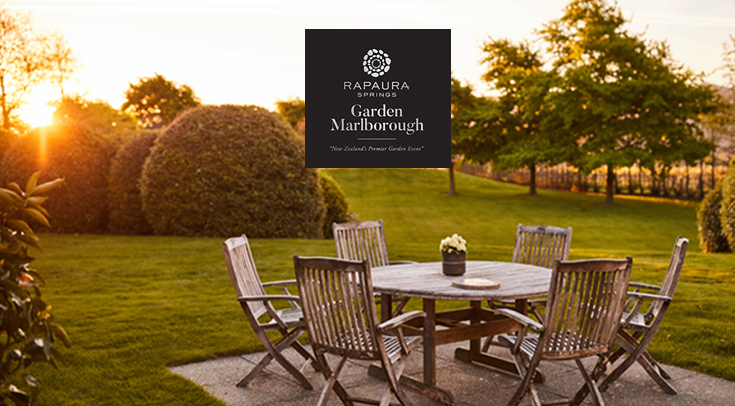 Rapaura Springs Garden Marlborough Festival celebrates its 25th year this November and New Zealand Sotheby's International Realty will be in support as a major sponsor. Over four days, event goers will celebrate the region's landscapes and culture through garden viewings, workshops, winery tours, scenic cruises and, of course, the ever-popular Garden Party. The Garden Party will be hosted at Brinkburn Estate, currently on the market with New Zealand Sotheby's International Realty, where our National Auctioneer Shane Cortese will auction locally created art pieces featuring the humble Number 8 fencing wire. Proceeds of the auction will go to horticulture scholarships and tree planting projects in the Marlborough region. The Best Garden Awards, also sponsored New Zealand Sotheby's International Realty, promotes camaraderie and collaboration between neighbours and encourages the beautification of the Marlborough region as a whole. New Zealand’s premier garden event runs from the 8-11 November 2018.